I hope you all had a great weekend with lots of time for creativity and crafting. 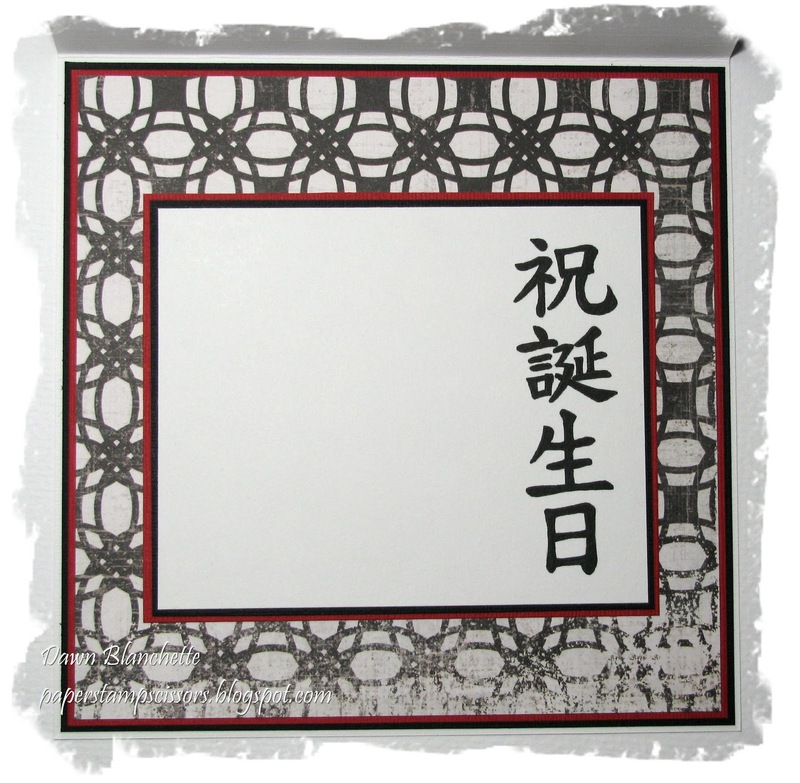 Before I get to my latest card, I want to send out a big hello and welcome to all of my blog's newest followers. I'm so glad to have you along and really appreciate your support!! Today's card is one that I made very quickly in a race against the clock (though it did take longer than 10 minutes :) ). Luckily, there was lots of white in the image :). I made this one on request for a young man's 7th birthday. 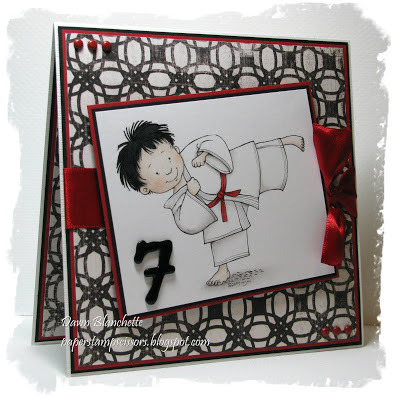 He is taking karate, so hopefully he will like it. I coloured the little Karate Boy with Prismas as quickly as I possibly could, so there isn't as much depth and shading as I would have liked, but I think he still looks cute. Thanks for taking a peek and for taking the time to leave a comment. I love reading them and visiting you to see what you have been up to too! 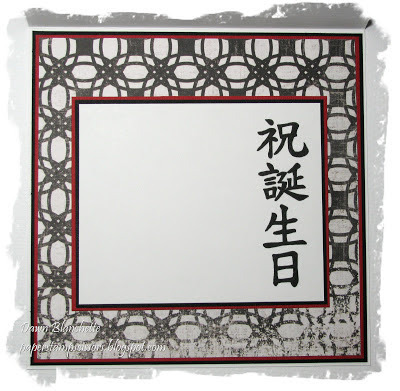 And, I have no advice on the kanji...but I have one as a tattoo. Every other tattooist that's looked at it has teased me about it meaning something other than "family," so TRUST ME, I get the anxiety over it :) lol! What a great image! Perfect for a young man's birthday. Fun!!! I think that young man loved his card! Great shading and layout! Wouldn't it be funny if it said "For a Sweet Little Girl" - good thing it doesn't matter! :<) We had SNOW her in this part of WI today - I am so NOT ready for this! Wishing you a great day! Karate Boy is TOO CUTE! Love his hair - a lovely backdrop to the image. The inside is so pretty, Dawn! 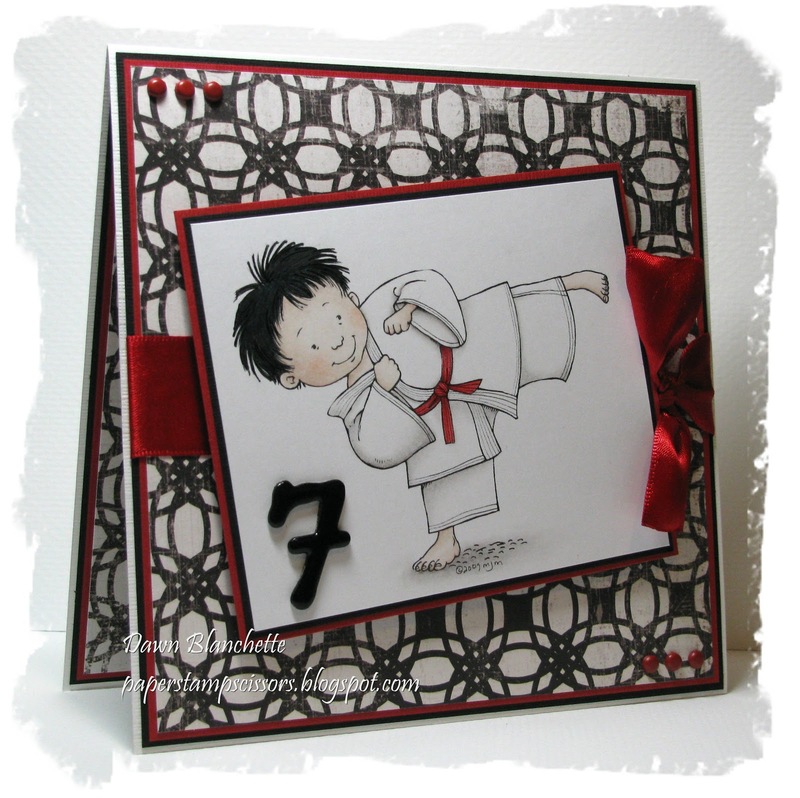 Hello Dawn , wow this is fantastic what a super Boy or girl card ( My niece used to do karate) super work .